The collaborative research center “Re-Figuration of Spaces” at Technische Universität Berlin investigates changes in contemporary spatial arrangements with an emphasis on digital technologies and transnationalization. The goal is to determine the characteristics of the so-defined “re-figuration of spaces”. In order to achieve it, we examine a variety of subjective spatial experiences and knowledge production practices. This includes a more thorough examination of how emerging spatial structures are conditioned by increased interconnectedness of places and the circulation it implicates. 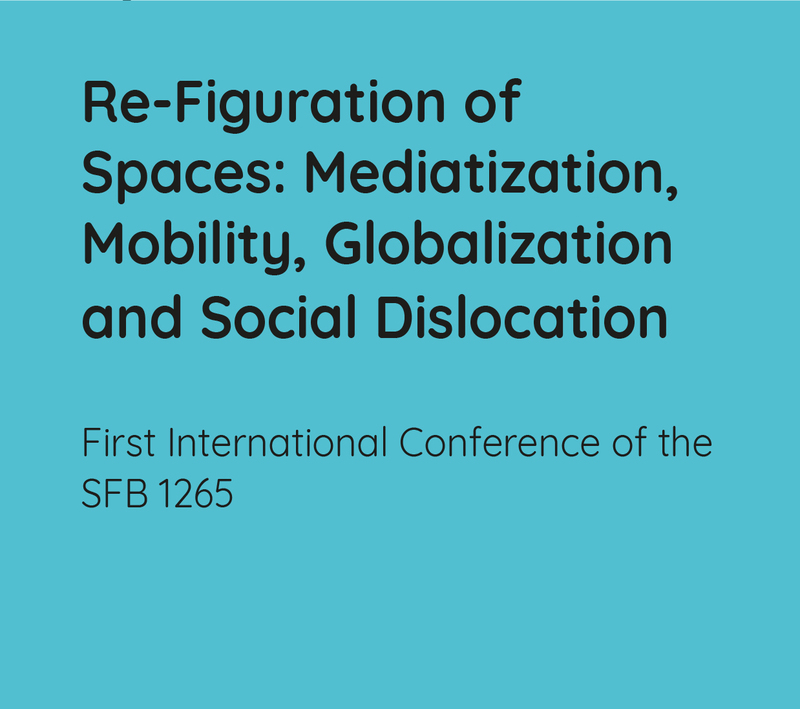 Our conference thematizes how spaces change through mediatization, increased mobility, globalization and social dislocation. We ask which forms of arrangements, spatialities and materialities underwrite these processes. How are spaces negotiated and (visually) communicated? These questions will be addressed by international lecturers and discussed in plenary and parallel sessions. Please register until 10th February 2019 and fill in the form down below.